MOWER SELF PROPELLED TORO Rentals Ft. Collins CO, Where to Rent MOWER SELF PROPELLED TORO in Ft. Collins, Wellington, Greeley, LaPorte, Loveland, Windsor CO and all of Northern Colorado. A nice Self Propelled rear bag or mulching lawn mower. the bag and or a mulching plug is included with the rental. 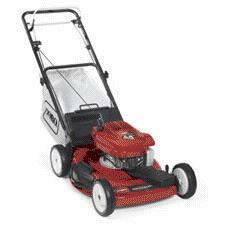 The mower is a recycler for mulching when grass is short. does not mulch tall thick grass, use a bag for that. Not for mowing weeds. Single speed drive, set all wheels the same height for best results. WEIGHT 69 LBS, 22 INCH WIDTH, 6.5 HORSE POWER, SELF PROPELLED. * Please call us for any questions on our mower self propelled toro rentals in Fort Collins, Wellington, Greeley, LaPorte, Loveland, Windsor CO and all of Northern Colorado.